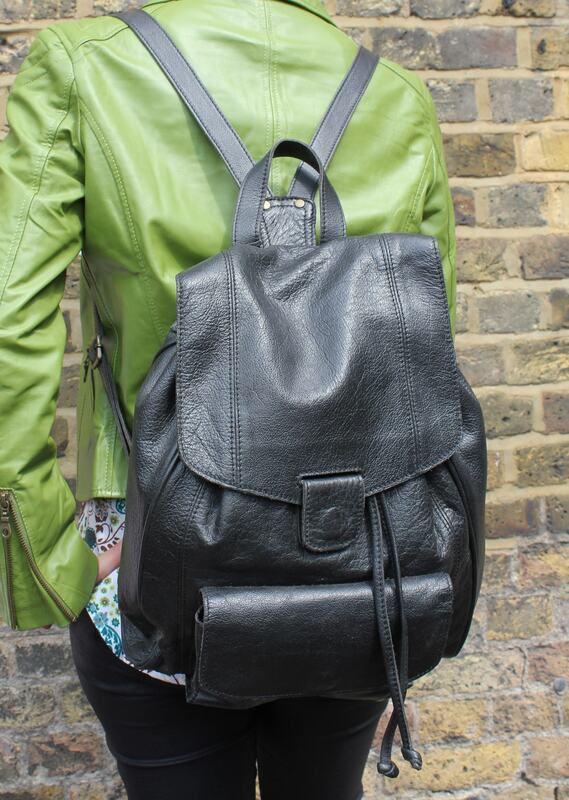 Coolruck is a large very lightweight black leather rucksack with a front pocket. The flap top is a pull through mechanism with a magnet and the bottom pocket is also closed with a magnet. There is a tie top on this rucksack making it very secure. 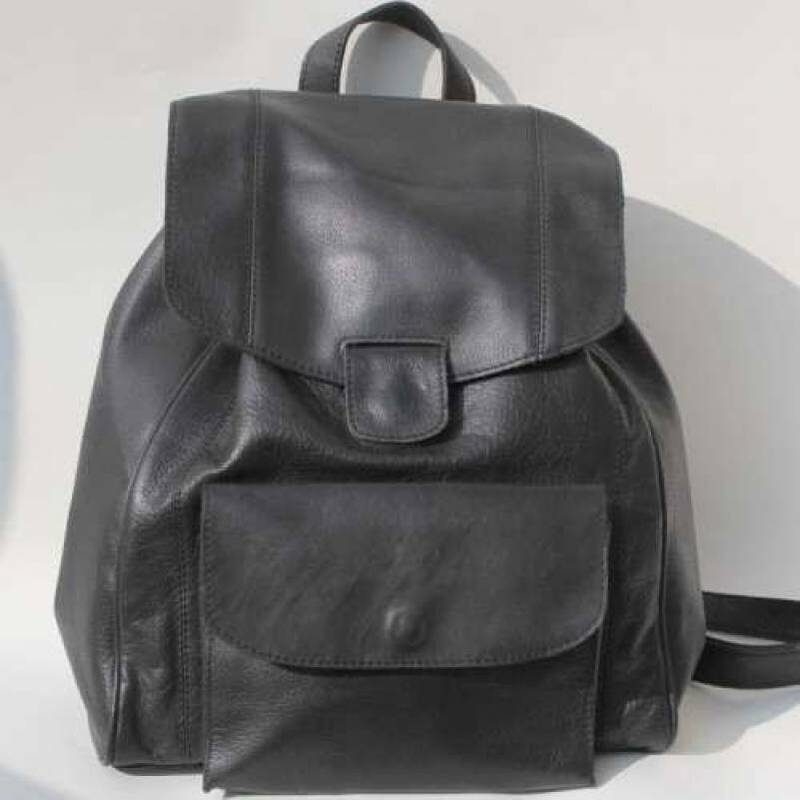 This is a very deep leather rucksack and with a very large base the capacity is very large. 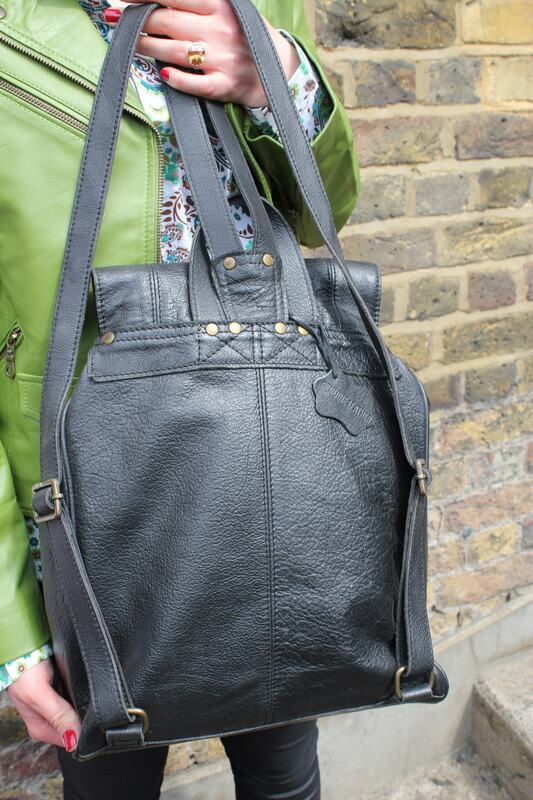 The great thing about this leather rucksack is how light it is therefore making it really comfortable on the back. The measurements are 41cms wide, 36cms tall, the base of the bag is 12.5 x 31cms, the front pocket is 17 by 21cms, 4cms deep, the sides measure 12x36cms and the strap is 2.5cms wide, the hand strap is 28cms. The lining is waterproof so perfect for cyclists! 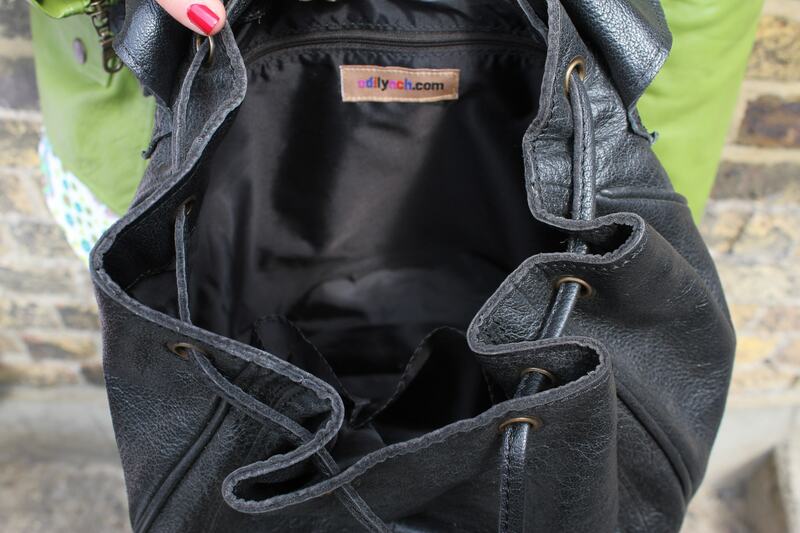 This bag is riveted with 4 to 6 snaps on the ruckstraps. The inner zip pocket is 18cms x 15cms. 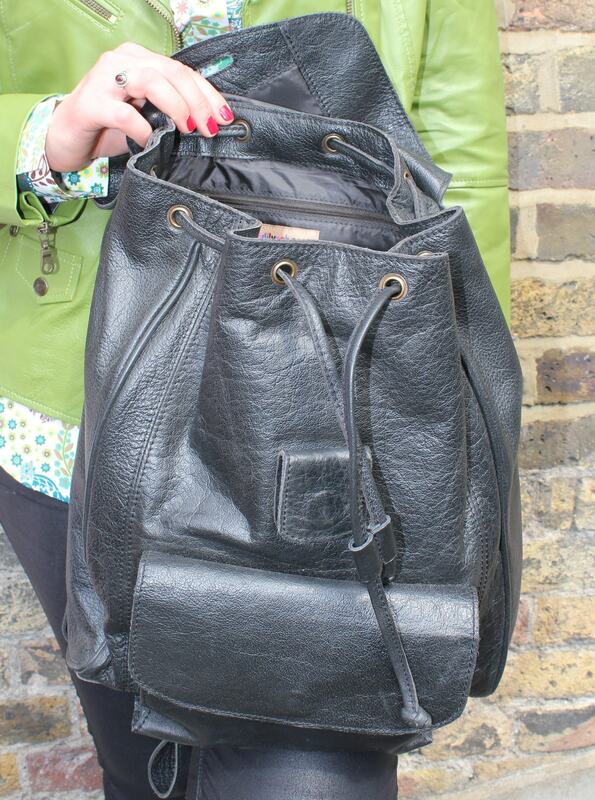 The whole circumference of this bag is at least 8cms so is a fabulously roomy rucksack.